What would you think if you were headed to the local grocery store and while on the way you spotted someone driving a car with a giant half-fish, half-vegetable mounted atop the roof? It appears one GMO activist is using some humor to get the word out on GMO awareness. Nikolas Schille drives around in his fishy food car, meant to invoke a visual pun, and to educate people about GMO foods. To Schille and millions of others, there is something suspect about putting genetically modified foods (GMO) on our grocery store shelves, especially without a label. There are no fish genes in our food just yet, but Florida juice growers are working with biotech companies to use pig genes in oranges. We have also already put viruses and super-bug causing bacteria into our food supply thanks to the biotech monopolies, and collusion with multiple governments and even the World Food Programme, sponsored by the United Nations. Other ‘strange fruit’ to borrow a Billie Holiday song title, concocted by the likes of Monsanto, BASF, and Dow include venomous cabbage mixed with scorpion genes, and AquaBounty’s ‘fast-growing’ salmon that is altered with eel hormones. 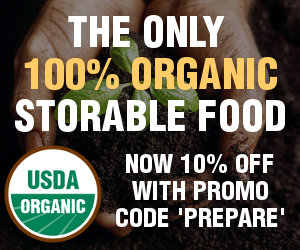 Sales of organic foods show that people are truly interested in eating non-GMO food, since sales are up more than 7% in the US just since last year. What’s more, nations around the world (and some cities/states in the U.S.) are taking a stand against GMOs due to health concerns. Unfortunately, in order to label all the items every store sells, it would be quite an undertaking, since more than 80% of the foods we normally purchase contain GMO of some kind. If you giggled from fishy-food car video, share this article so some people can see another side to the anti-GMO debate for a change. Doesn't anyone in this incompetent government question the safety results of the company that sells the product?? in Europe…or labeled…. why not here?? I often consider that the GMO tentacles of evils foods and medicines originated in the U.S. … and that the U.S. will be the last to banned it’s money profiting slow kill products … and of course it’s known that the U.S. is a British owned corporation set up on American soils ..